This amazingly durable but also very beautiful member of the Scrophuliaraceae (Figwort) family grows in the most inhospitable of places. 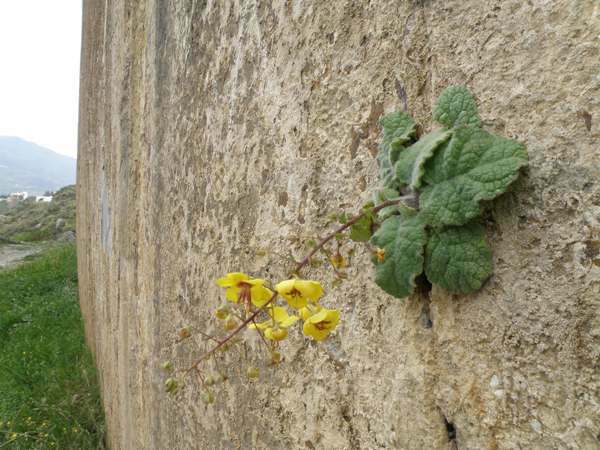 More than 40 Verbascum species grow in Greece, but this is our favourite. Verbascum arcturus has extremely hairy leaves and a long, tough stem with a lax raceme of golden yellow flowers. Individual flowers are typically 2.5cm across, and racemes of flowers can be up to 50cm in length. 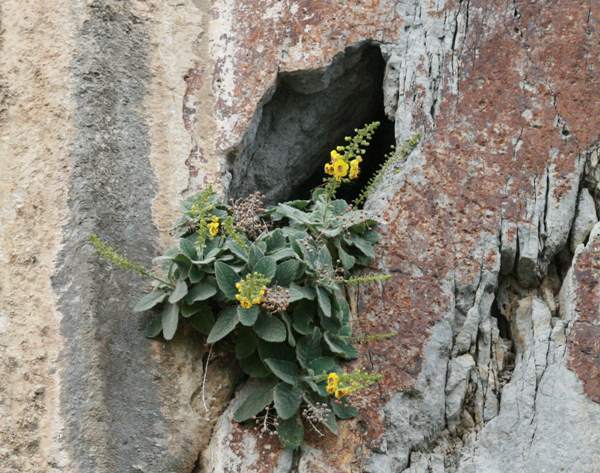 Coping well with prolonged drought, Verbascum arcturus is mainly confined to limestone cliffs on the western side iof Crete, and often the plants grow in inaccessible places; it can grow out of vertical cliff faces. Verbascum arcturus can be seen in bloom from February to the beginning of June. 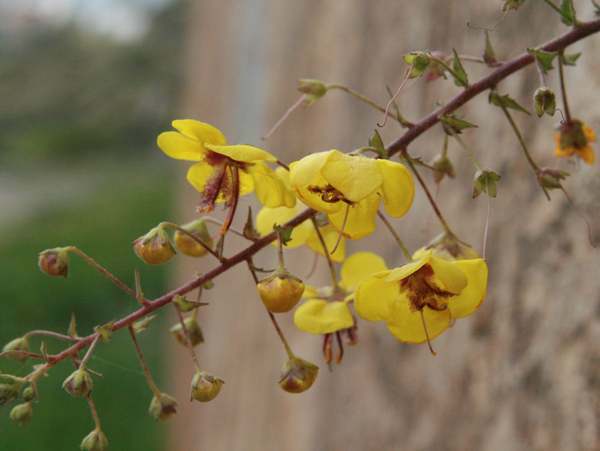 The plants shown on this page were photographed in Crete at the beginning of April. Verbascum, the genus name, is a corruption of the Latin adjective barbascum, which means 'with a beard' - a reference to the hairy leaves. The specific epithet arcturus comes from two Greek words, arktos meaning a bear, and ura meaning a tail - hence arcturus translates to bear's tail.